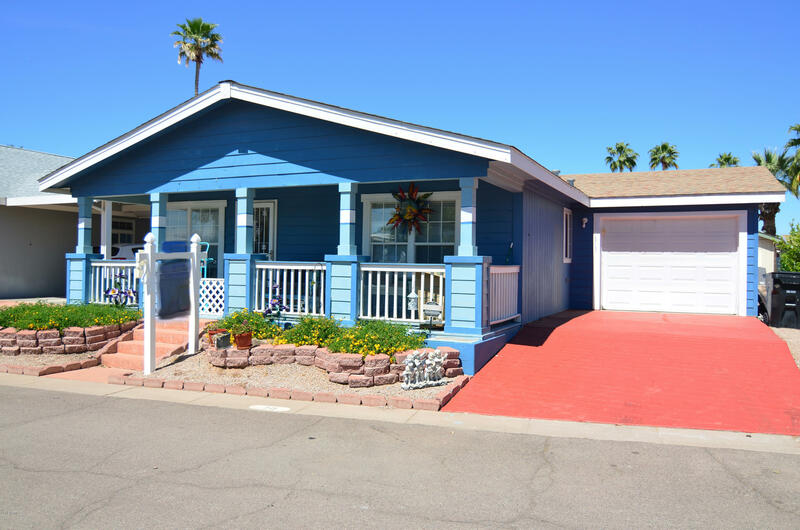 All Hacienda De Valencia homes currently listed for sale in Mesa as of 04/22/2019 are shown below. You can change the search criteria at any time by pressing the 'Change Search' button below. "55+ Gated Community. 2 Club Houses, 2 Pools. Convenient to Lakes, Boating, Golf, Shopping. Loads of activities. Rentable! Large 2 Bedroom + manufactured Home. 2006 Palm Harbor with attached Garage. Master Suite 13x26 with sitting area, or can be extra bedroom. MBath + another full bath. Walk-in closet. Wide open spaces. Ceramic tile throughout! Big Country Kitchen. Central Air - Heat Pump. 2 Porches (Deck & Covered patio). Great community. $142/mo budget electric. $655/mo space rent. Great Vacat"